Consep has exclusively represented the Knelson Concentrator since 1990, servicing the Australian and South East Asian markets. 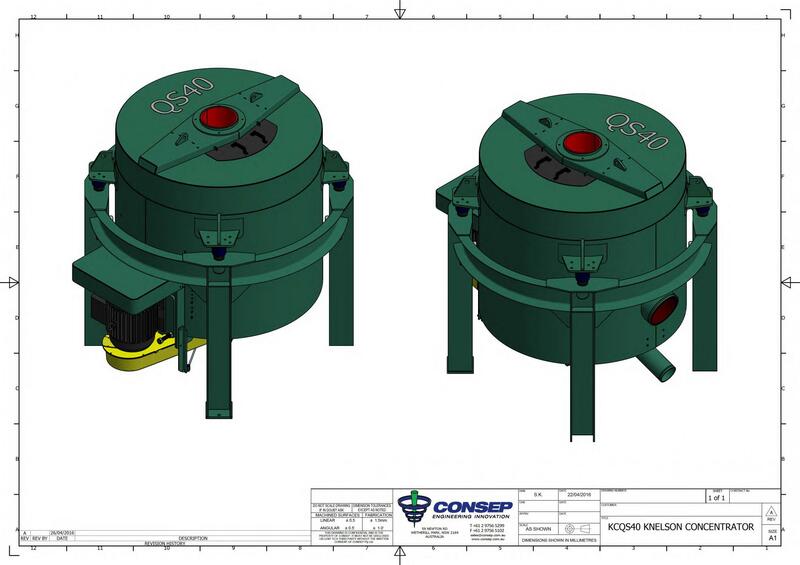 In 2011 FLSmidth purchased the company Knelson Concentrators of Canada, and since this time Consep has enjoyed a close partnership with the Precious Metals group of FLSmidth. 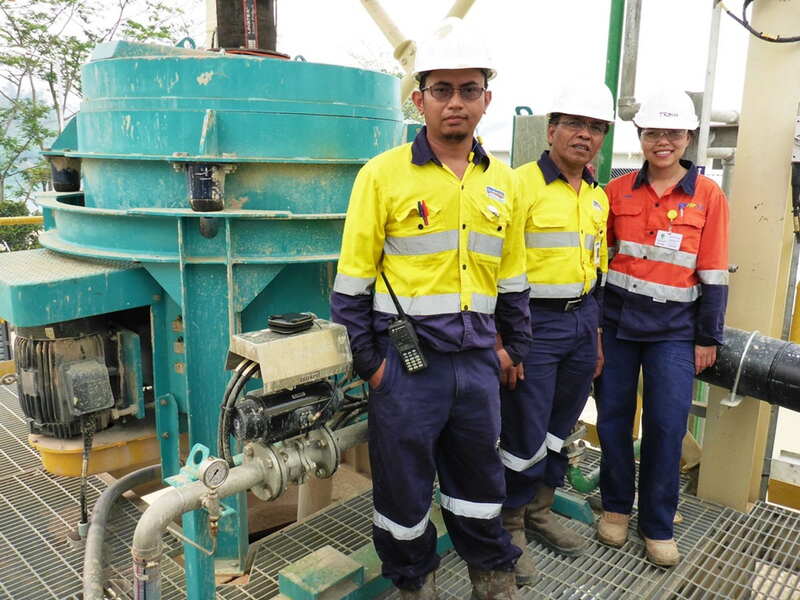 This partnership includes Consep’s continued representation of the Knelson Concentrator for the Australian and South East Asian markets. The patented tangential fluidisation effectively dilates the concentrating bed for more efficient recovery and shortens the flush time. The upper and lower frame design is separated with vibration isolators that helps extend bearing life and eliminates concerns with minor imbalance in the concentrate load. It has the greatest capture area per unit capacity of any centrifugal gravity concentrator. 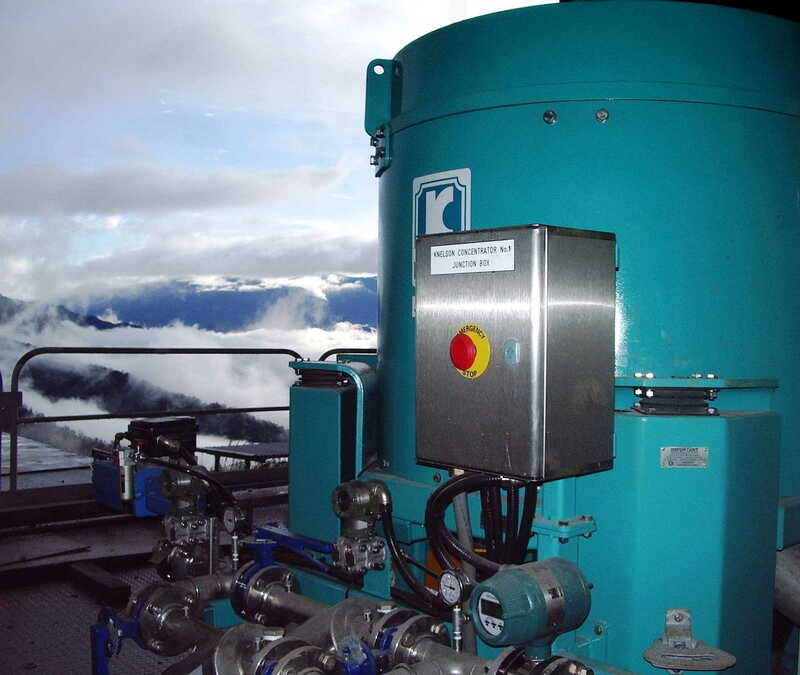 It has the smallest footprint per unit capacity of any centrifugal gravity concentrator. Knelson Concentrators are available in two distinct models; the Batch Knelson Concentrator (KC) and the Continuous Knelson Concentrator (CVD) which are detailed below. Alternatively feel free to contact our team to see how we can assist with your project. The semi-continuous (batch) Knelson Concentrator is the most widely utilised centrifugal gravity concentration device in the industry. Knelson Concentrators are available in an unmatched array of capacities, from bench scale units designed for the laboratory through the world’s largest gravity concentrator, the 1000tph 70” Knelson Concentrator. 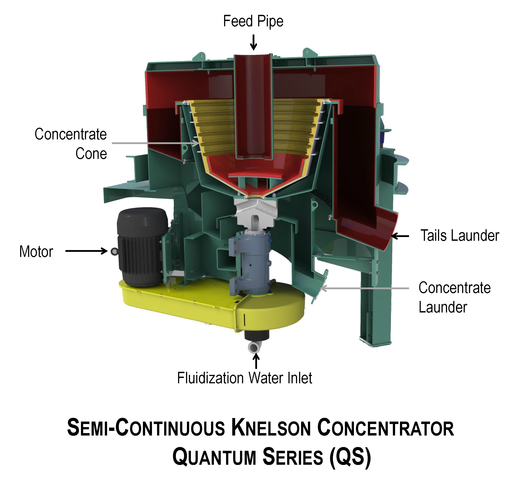 The Quantum Series (QS) of Knelson Concentrator represents the very latest in technology available for gravity recovery. The QS series of Knelson Concentrator builds on over 30 years of experience of Knelson, with further enhancements in the operability, reliability and efficiency of the gravity concentrator. The Quantum Series is the latest generation in a series that dates all the way back to 1978 with the development of the Manual Discharge (MD) Knelson Concentrator. Since then has been the second generation machine, the fully automated Centre Discharge (CD) Knelson Concentrator, then the third generation eXtreme Duty (XD) Knelson Concentrator. The latest Quantum Series (QS) is the Fourth Generation automated Knelson Concentrator which was released in 2010. The patented Continuous Variable-Discharge (CVD) concentrator differs from the batch Knelson Concentrator by delivering a continuous stream of concentrate. The CVD will discharge the concentrate while simultaneously processing fresh feed, whereas semi-continuous batch units must be stopped intermittently to remove concentrate. CVD concentrators were developed to address specific mineral recovery applications with a comparatively high content of target mineral. While CVD technology is suitable to selected precious metal recovery applications the technology is primarily utilised in the bulk recovery of various base metals and industrial minerals.